Who stirs the pot in your house? These make great housewarming, birthday and gag gifts! 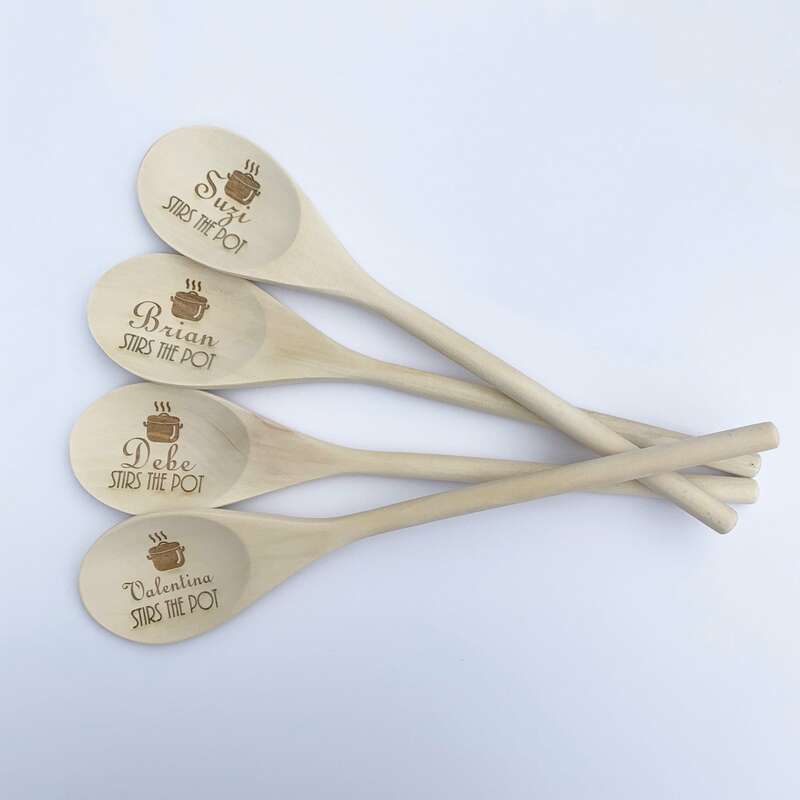 Your spoons will be laser engraved exactly as photographed replaced with your custom names(s). ► Want to create your own wooden spoons? 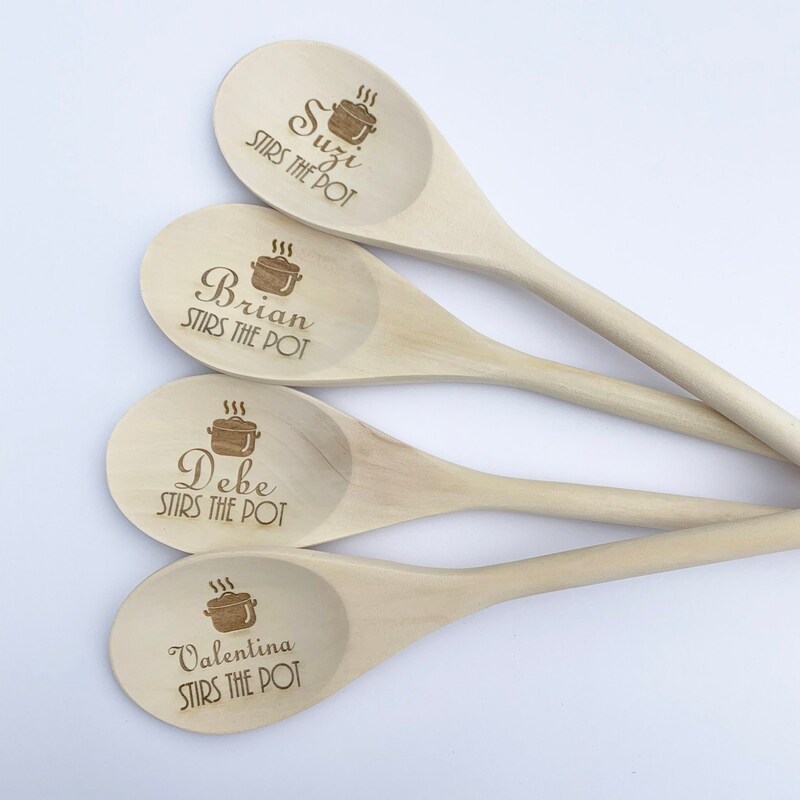 Send a message with your vision to receive a custom listing for custom wooden spoons!